The Ophelia is a simple piece but full of sleek, sophisticated style. It features a deep, rectangular wood frame that is finished in a bright nickel. The mirrored glass is set back in the frame giving it a shadowbox effect. On the lower half of the mirror is a shelf affixed to the piece. Get 2 in 1 with this double duty mirror. 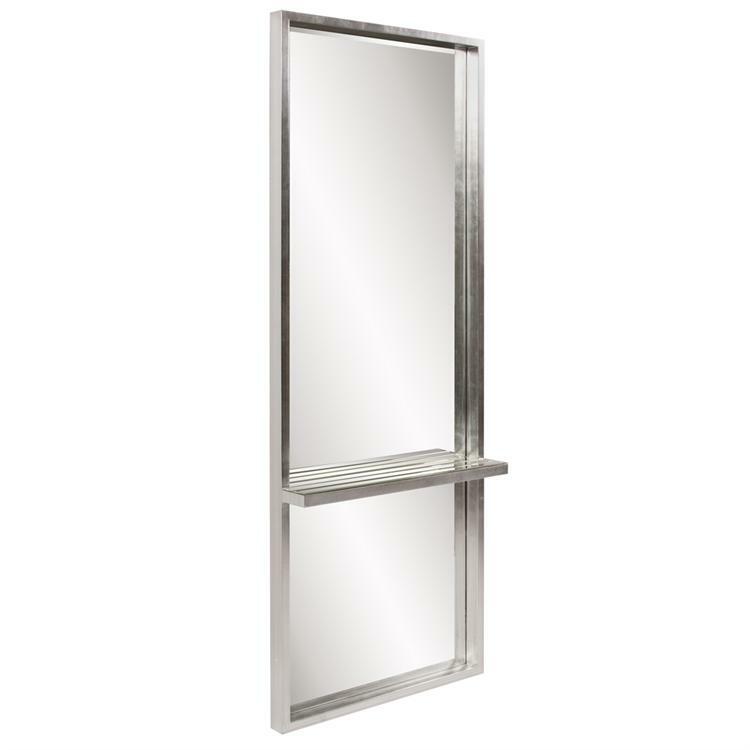 It is a perfect focal point for any design/ The mirrored glass on this piece has a bevel adding to its beauty and style. Customizable for larger orders.